In a dream temple, we sit together in sacred ceremony, sharing and exploring our nighttime dreams, finding meaning and co-creating ways to live into our dreams and dream the world awake. So, let’s dream together. Bring a dream, journal, and item for the central altar (candle, crystal, flower...). Because a single dream can change your life, and even the world. Because this is more important than you can imagine. Because you and your dreams matter. As Dreamers, we are Cultural Creatives, Courageous Lovers, Luminous Warriors and Wisdom Keepers. When you find and share your sacred dream, the creative power of the Universe allows you to create beauty in the world, and to heal yourself and others. This class combines yoga and a support circle to join women in this powerful and often overwhelming time in their lives. The class starts with 30 minutes of mindful movement and is followed by 60 minutes of gathering to discuss all that can come up as a mother. The circle is aimed at providing you with a community of women who can support each other and develop lasting bonds in this journey of motherhood. YOGA: Yoga is taught by Dr. Jennifer Marie Lane, DC. The short class offers women the opportunity to establish an overall sense of well-being, and learn breathing techniques, mudras and postures to help support the body, heart, mind and soul through the transition into motherhood. There will be time for connection with other mothers, as well as deep rest and relaxation. Our classes are open to any woman after doctors release postpartum. The class is a nurturing environment designed to stretch and strengthen muscles, energize the body, soothe aches and pains, relieve stress and anxiety, and overcome the common discomforts from postpartum. No prior yoga experience needed. CIRCLE: What does a circle look like? Circle is facilitated by Shanti O'Connor, MS, NCC. When in circle we all put our attention on one woman, and we will explore what her experience is like, essentially getting into deep relationship with what is most true and alive for her. The experience of being seen for who we are is one of the most fulfilling experiences we can have. Being in circle teaches us exactly that­, how to see and celebrate each woman for the uniqueness she brings to the world. We don’t give advice or try to fix anyone. Rather, we welcome and stay with what is so we can relax into the truth of our experience, feel supported, know we are not alone and allow the experience of this to change us. Children are welcome to join. Shanti will be on hand to help watch kids while mom is doing yoga. Dr. Clarissa Pinkola Estes describes the body as the loyal consort of the soul. I would add that the body is the vessel of Spirit (life force, prana, chi, or however you name that ineffable power that moves and inspires). Strengthen the Vessel is a practice that combines Foundation Training, meditation, mantra and mudra to cultivate strength and resiliency in the physical, emotional and spiritual bodies. Join Dr. Jenn in this practice of discovery, transformation and awakening. 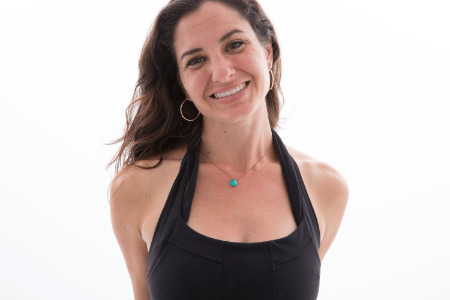 Jennifer's earth-based approach to yoga is inspired by the Beauty of the natural world and embodied life. Her classes are journeys of grace, strength and joy with unique sequences that flow with healthy biomechanics. She encourages her students to compassionately explore their full range of possibility through breath, movement, mudra and meditation. Foundation Training (FT) is a powerful practice that builds strength and resilience through intelligent postures and deep breathing, FT has helped thousands of people recover from chronic pains and acute injuries. FT brings forth a deep felt sense of vitality in mind, body and spirit.